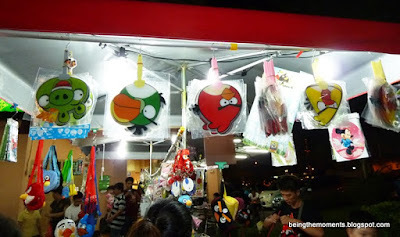 How popular is Angry Birds in Malaysia? 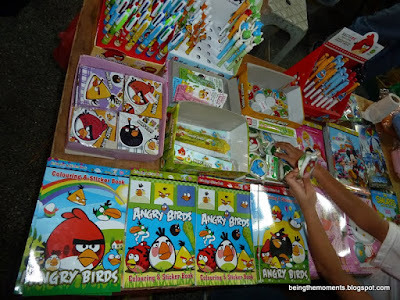 It's really surprising to me as I am away from my home country for two years without realising that Angry Birds has spread its popularity among children and the adults. 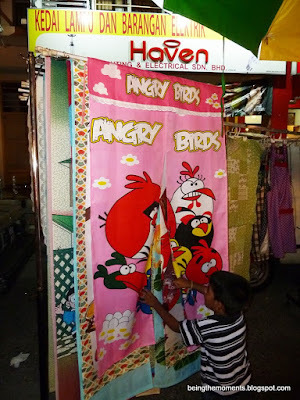 Children are exposed to Angry Birds from their peers in schools and family members who have the interactive games on their iPhones or iPads. 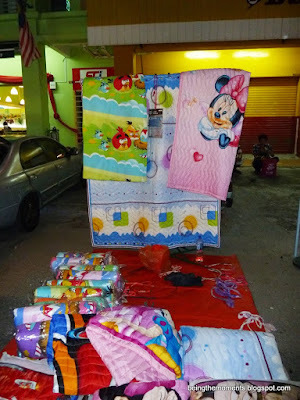 Malaysians are really crazy and obsessed to Apple products thus, I was told that about 60% of Malaysian adults are using iPhones by commiting to data plan contracts from the telecommunication companies in Malaysia in exchange for free iPhones. 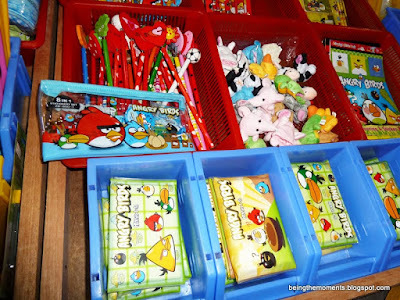 My nephew at 2 years plus, is exposed to Angry Birds from his friends in his play school. His parents haven't introduced the interactive game and don't have the intention to do so. 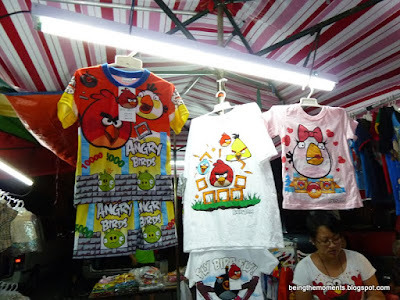 His grandmother bought his Angry Birds clothing and he insists to wear it frequently because he's in love with the character. 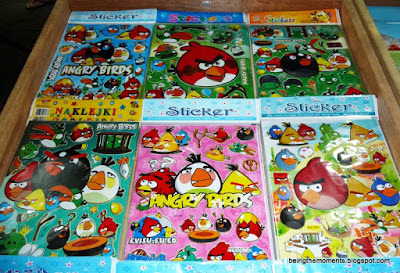 Another friend told me that her nephews and nieces who are currently studying in the elementary schools (primary schools), are obsessed to Angry Birds. 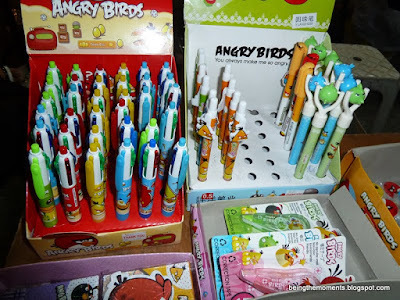 They aren't obsessed to the interactive games but they also collect all kinds of Angry Birds merchandisers like, stationery, clothing, stickers, key chains, plush toys etc. 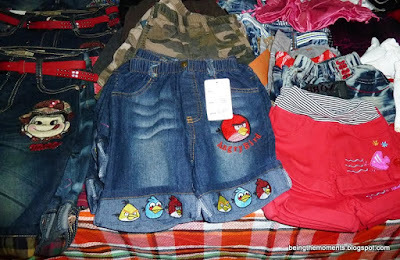 In adults' world, branded goods like, Louis Vuitton is a dream to get if we can afford to spend while Malaysian children must have some Angry Birds merchandisers because none of them can resist of the cute little characters. Copyright ruling hasn't been regulated as tough and strict as in the U.S. 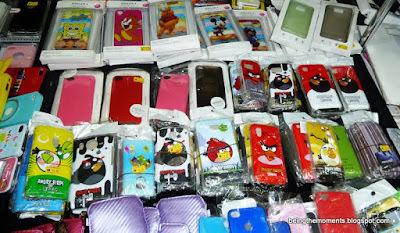 It's very difficult and sometimes, I think it's impossible to combat the imitation / piracy products in Asia region. It keeps the small operators to run businesses and increase purchasing power of consumers with low and tight earnings. 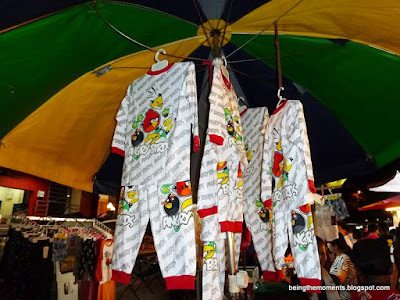 You can find all kinds of imitation / piracy products from DVDs, fashionable bags, shoes, mobile phones and merchandisers in street markets in Asia countries. 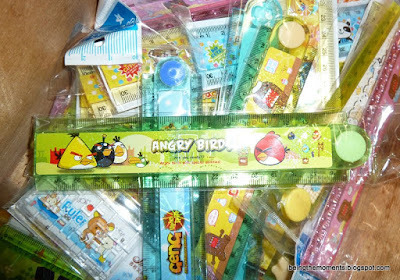 The prices range between RM10 (US$3.34) to RM40 (US$13.34) per piece depending on the types of Angry Birds products. 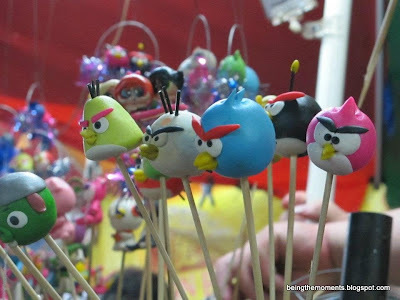 As Malaysians are still fascinated with Angry Birds game, Nokia decided to work closely with Rovio, the creator of Angry Birds, to create the World's Biggest Angry Birds Playground at Low Yat Plaza, Kuala Lumpur, Malaysia in attempt to create the Guinness World Record for the Most People Playing in a Mobile Phone Game Relay on June 11, 2011. Nokia had been losing its market share and appeal from Malaysians since the fierce mobile brands competition from iPhones and Android handsets. Therefore, Nokia had to revitalize its brand imagery and reestablish and reconnect the preference drive and needs with Malaysians. 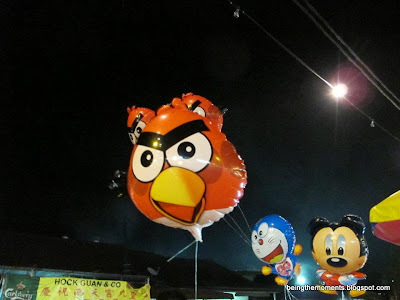 As such, Nokia decided to tap Malaysians' fun mindset to experience playing the Angry Birds game on a single Nokia mobile phone on the relay day. Malaysia is now the Guinness World Record ™ holder for 'The Most People in a Mobile Phone Game Relay." Attendance and participation surpassed targets.